Some things in life were inevitable: death, taxes, and lying, whore-mongering men. One woman would never be enough for one man. So I traded in men for a Harley. Nothing beats that kind of power between my legs. Then I blinked. And he was there. All Vanessa ever wanted was to be loved. Okay, strike that - all she wanted was not to die at the hands of the homicidal maniac who was obsessed with hunting her down - and to be loved. Was that too much to ask? Going to Jacob’s Well and becoming a Lottery Bride sounded like it would make all Vanessa’s dreams come true. For the first time in her life, she’d have a family. For the first time in her life, she’d have not just one person to love her, but five. And she’d be safe. from the notorious female slave trader, Lorenzo Bernal. There’s just one tiny problem. Love the story, but why the change in narrator? It was destiny - the night I met Hudson Demasi. I remember how effortlessly he stole my heart - his dark eyes and quick smile forever etched into my mind. 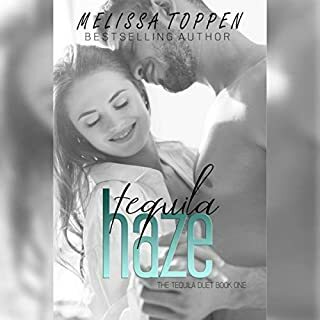 We spent one incredible night together under a haze of tequila - a perfect night. And when I woke the next day, he was gone. I never expected to see him again - especially not five years later standing on a stage in front of thousands of screaming fans as none other than hot, new country artist, Hudson James. 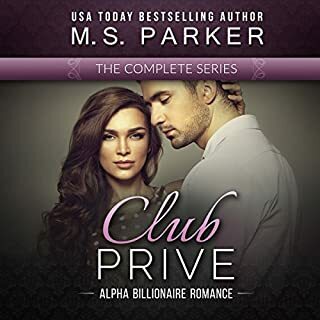 When small-town girl Kennie Sue Ledbetter wakes up in a Reno hotel between two guys in rumpled tuxedos, she thinks things can't get any worse. When she steps on the wedding bouquet and sees the ring on her finger, she knows things can't get any worse. But then she finds out she's married to the guy who won her in a coin-toss in front of the wedding chapel, and "worse" has a name and a face: Alexander Carruthers, the gorgeous silver-tongued devil who believes in love at first sight, in fate, and in doing whatever it takes to keep her - even if that means following her back to Texas and letting all the good people in Tahoka Springs know what she did on her summer vacation. He's Lear jets and high society charity balls. She's Ford Pintos and rodeos. She won't fit into his world and he sure won't fit into hers. But can it also spell love? ©1988 Patricia Burroughs (P)2014 Audible Inc. This book was ok. It was funny and sweet and interesting. The storyline is much different from what I'm used to but it worked. Narration was ok too.